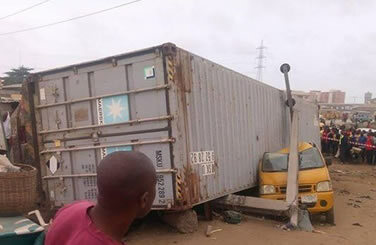 No fewer than seven persons were killed and 12 others injured when a 40-foot container fell off a truck in the Alakija area on the Lagos-Badagry Expressway on Wednesday. Ashiwaju.org learnt that at about 7.30am, the truck, with number plate KRD 526 XP, moved from its lane to another lane and rammed into a commercial bus after its brakes failed. In the process, the container the truck was carrying fell, killing seven people and injuring 12 others. The Economic and Financial Crimes Commission says the trial of three former Managing Directors of defunct banks has received a major boost. The three bank Managing Directors include Mr. Erastus Akingbola of the defunct Intercontinental Bank, who is accused of stealing N47.1bn; the MD of the defunct Bank PHB, Mr. Francis Atuche, who is accused of stealing N25.7bn; and the MD of the defunct Finbank Plc, Mr. Okey Nwosu, alleged to have stolen N18bn. 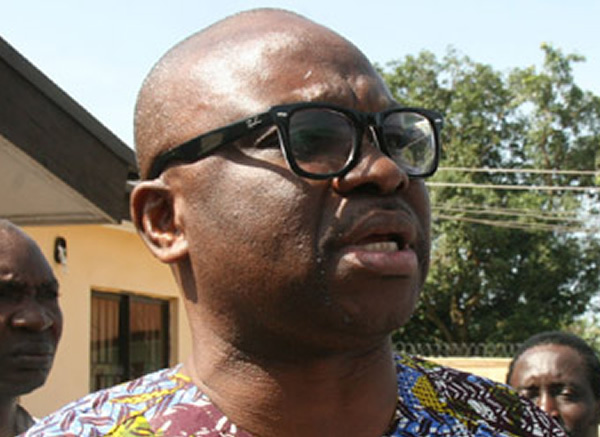 The Ekiti State Governor, Ayodele Fayose, has declared that President Muhammadu Buhari was using an equally “corrupt” Economic and Financial Crimes Commission to fight corruption. Some community leaders, titled chiefs and village heads in Abia State on Wednesday backed Dr. Uche Ogah in the dispute over the governorship position in the state. A group of prominent politicians from the state, known as the Concerned Elders Forum of Abia State, led by a former Senate President, Chief Adolphus Wabara, and Chief Onyema Ugochukwu, had, after a meeting in Abuja on Monday, declared their support for Governor Okezie Ikpeazu. 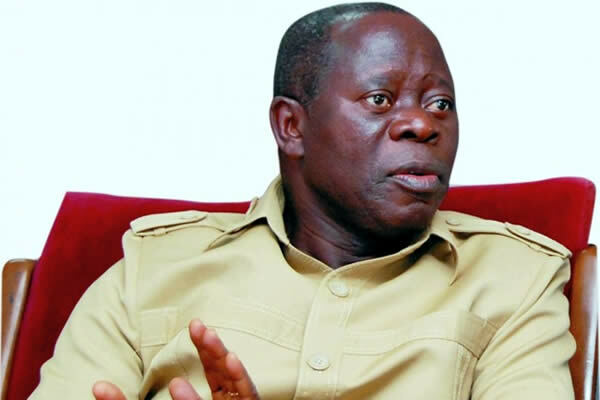 Oshiomhole said this while addressing some Muslim faithful as part of events to mark the Eid-el-Fitri celebration at the Government House in Benin, the state capital. 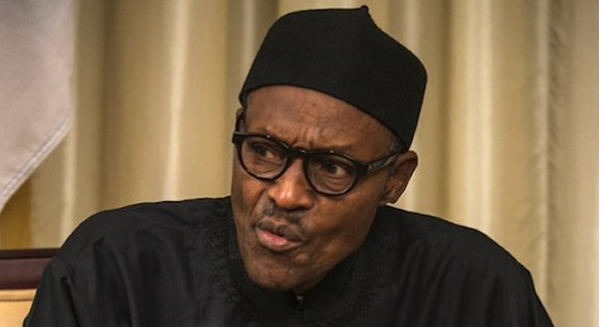 “Today, you can see confusion inside the party that brought Nigeria to its knees. Can you not see the hand of God? They said they would rule for 60 years. Now 16 years later, they are out,” he said. Veteran Nollywood actress, Bukky Ajayi is dead(82years). May your gentle soul rest in peace Mama. uring a recent press conference to reflect on the aftermaths of the June 19th World Sickle Cell Day celebration, the National Coordinator of Association of People Living with Sickle Cell Disorder, APLSCD, Aisha Maureen Edward decried what she described as betrayal and a show of dubious ulterior motive, the parallel event to mark the World Sickle Cell Day celebration by Dr. Joe Akabuike, the ANAMBRA state Commissioner for Health on July, 29, after ignoring the formal invitation sent by APLSCD to his office. The Economic and Financial Crimes Commission on Monday arraigned before a Federal High Court in Abuja a businessman, Mr. Jide Omokore, who is also an ally of a former Minister of Petroleum Resources, Mrs. Diezani Alison-Madueke, on nine counts of alleged crude oil fraud involving $1.6bn. 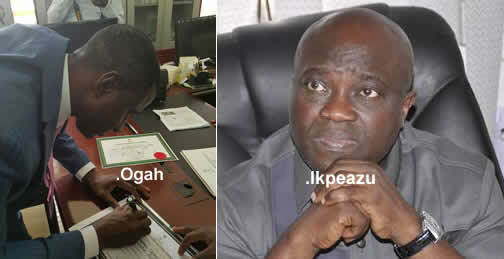 Having keenly observed the goings-on in Abia State, especially the gradually growing political turmoil resulting from the cancellation of the mandate of the Abia State governor, Dr Okezie Ikpeazu by the Federal High Court sitting in Abuja and the directive by the same court, directing the Independent National Electoral Commission (INEC) to issue Certificate of Return to Mr Uche Ogah by the electoral body, I wish to implore all youth groups to be calm and law abiding. Some weeks to the primary of the All Progressives Congress in Ondo State, in the build-up to the November 26 governorship election, the number of aspirants seeking the party’s ticket has reached 50. More aspirants are still expected to emerge. 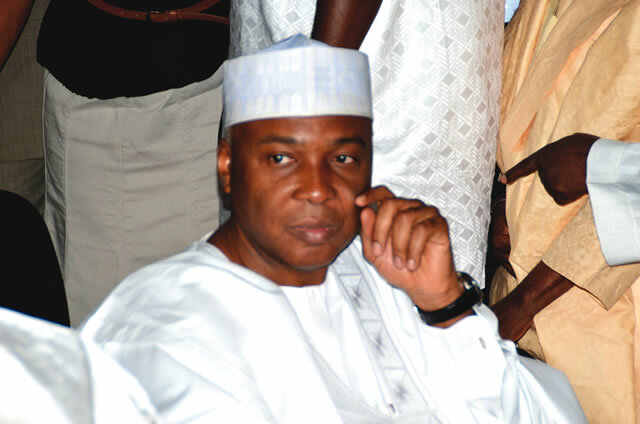 The rise in the number of the governorship aspirants seems to be giving the party’s leadership a serious concern. It was gathered that the issue of how the governorship candidate will emerge in a rancour-free atmosphere has become what one of the APC chieftains termed as a must-not-fail assignment of the party’s National and State Working Committees. What is your qualification and work history? I have a bachelor’s degree in Electrical Electronics Engineering from the University of Lagos, Akoka. My first job experience was an internship I underwent while I was still an undergraduate. It lasted for six months. I worked at Google Ericsson LM, one of the biggest telco services providers in the world. Shortly after, I worked at Google Ericcson as a Google Africa intern, I joined Jumia as a Senior Online Marketing Specialist in 2012. I later quit my job at Jumia in 2013 to focus on Prepclass. 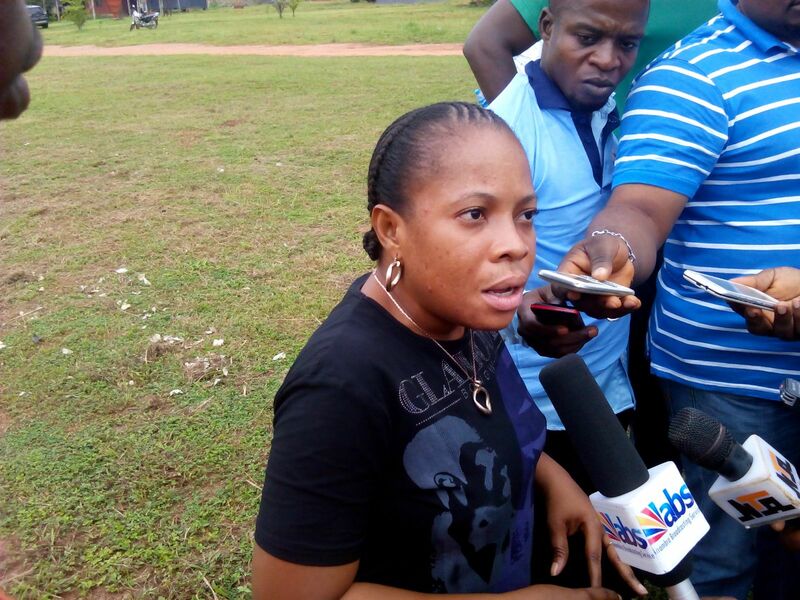 After seven weeks of intense lectures, students of Tunde Kelani’s film school, Mainframe Film and Media Institute, have said it was a dream come true for them as the training set them on the path of greatness. One of the students, Bamidele Adetayo, who spoke to Sunday Scoop, said he was now ready to explore the world of film-making. ‘‘The training I received has prepared me. The short film project we are working on has further strengthened my resolve to excel. I am ready to explore the world of motion pictures,” he said. 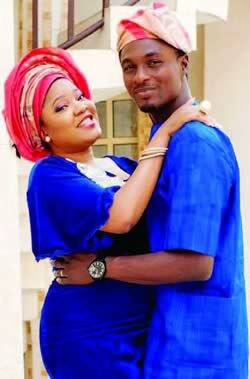 In spite of the attendant drama that characterised the break-up of Toyin Aimakhu and Niyi Johnson’s marriage last year, the two thespians have refused to comment on the issue. Save for a video clip that was released on Instagram this year, where Toyin blamed the collapse of their marriage on Niyi’s “philandering ways,” neither of them has commented further. However, a new twist was introduced to drama last Thursday when Niyi was called out by some of his followers on Instagram. According to them, Niyi attempted to poison his ex-wife, while they were still man and wife. 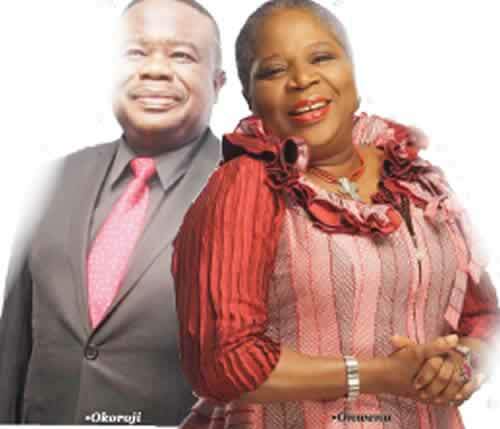 Popular singer and immediate past Director General of the National Center for Women Development, Ms. Onyeka Onwenu, has reacted to the judgment delivered against her by a judge of the Ikeja High Court, Justice I. O. Akinkugbe, in a suit instituted against her by Chief Tony Okoroji for defamation of character. Justice Akinkugbe ordered Onyeka to pay Okoroji the sum of N5m and tender a public apology. But in an exclusive chat with Sunday Scoop, the Elegant Stallion, as Onyeka is called, said the judgment was not fair and that she would appeal. Last week, Kate Henshaw, a popular Nollywood actress called out comedian Akpororo for using her name and image to promote his forthcoming show, Akpororo vs Akpororo, without seeking her approval. To express disgust at his action, Kate went on social media and put up a post where she issued the comedian 48 hours ultimatum to apologise and withdraw her name and image from all his publicity materials. A Federal High Court in Abuja has rejected an ex-parte motion for injunction restraining the Inspector General of Police and the Attorney General of the Federation from going ahead with the prosecution of the Senate President, Bukola Saraki and three others on charges of forgery of the Senate Standing Orders 2011. The applicant for the injunction, who is a serving senator, Gilbert Nnaji, had urged the court to stop the defendants from acting on the police report issued with respect to the case.